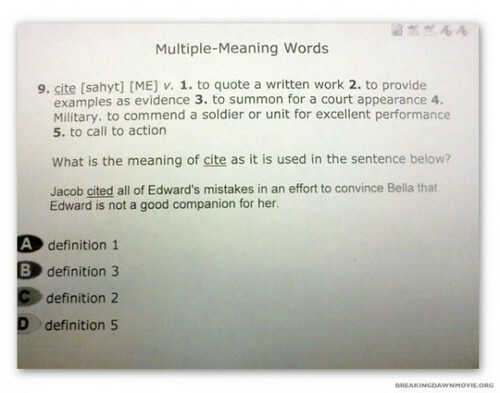 Twilight Makes Appearance on Standardized Test Prep: Jacob Cites Edward. Twilight has made an appearance in an unusual place-in a practice test for a state standardized test. Undoubtedly this proves that đọc The Twilight Saga can be occasionally useful in real life!. Wallpaper and background images in the Harry Potter vs Chạng vạng club tagged: twilight quote jacob black edward cullen standardized test cite vocabulary.